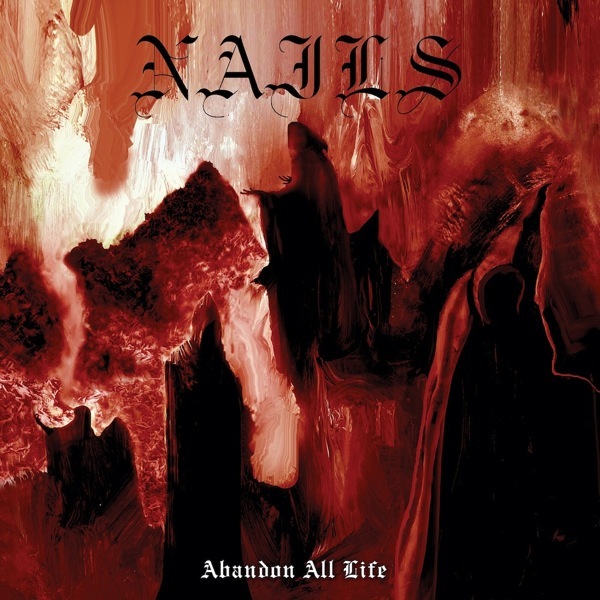 Abandon All Life is the second album by American grindcore band Nails. Three years on from their debut and Nails show no signs of slowing down as they ferociously hammer through another uncompromising batch of micro-songs. There’s barely a moment to breathe and at 17 minutes long Abandon All Life is somehow as long as it needs to be. To demonstrate the direct and uncompromising mission statement from Nail you need not look any further than the 23 second vignette that is Cry Wolf. It is nothing but sheer auditory terror that also leads to the crux of the problem with this kind of song writing: it’s almost entirely forgettable because it is over before it starts. This isn’t to say that there isn’t any talent here; it’s simply a case of beyond the raw intensity of their performance you will be hard-pressed to find much else. With their intense anger, short blasts of chaos and lack of anything even remotely nuanced Nails are squarely on the caveman side of extreme music which will make Abandon All Life a welcome addition to any grindcore collection but for anyone anticipating an expansion on their foundation will be left to look elsewhere.